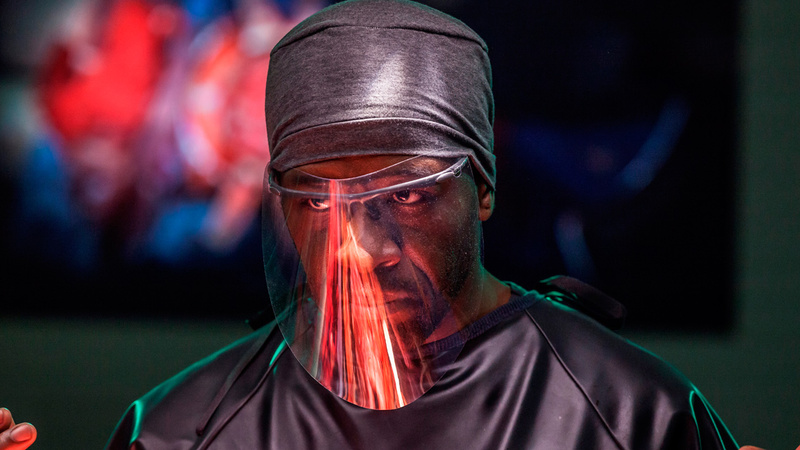 Things got a bit gory for a while at the Brewery, as we spent 7 months working on Sky’s new medical drama Critical. Told in real time this show takes the audience right into the guts of a hospital emergency room. Practical effects were used on set where ever possible which was great for the actors performances. In post, the Brewery made additional blood squirts, animated organs and placed surgical equipment in difficult to reach places. One of the highlights was getting the star of episode 10 down to the studio for a photo shoot. Boycie a professsional tv dog worked with us to make a convincing dog attack scene. A whole days work only cost a bag of sausages!